Monday sees the start of the first ever Blockchain for Science conference. I’m excited to be attending, representing Frankl, and meeting in real life the members of the blockchain-science community we’ve so far been interacting only virtually. However, it’s a long way from Sydney to Berlin, so I’ve been making the most of my time in Europe, combining the conference with a UK road trip, spreading the word about Frankl, open science, and blockchain, and nurturing partnerships with researchers and other tech companies whose ambitions align with our own. The big news from the last couple of weeks is that Frankl secured funding from the Wellcome Trust to develop a blockchain-enabled application for dementia assessment. 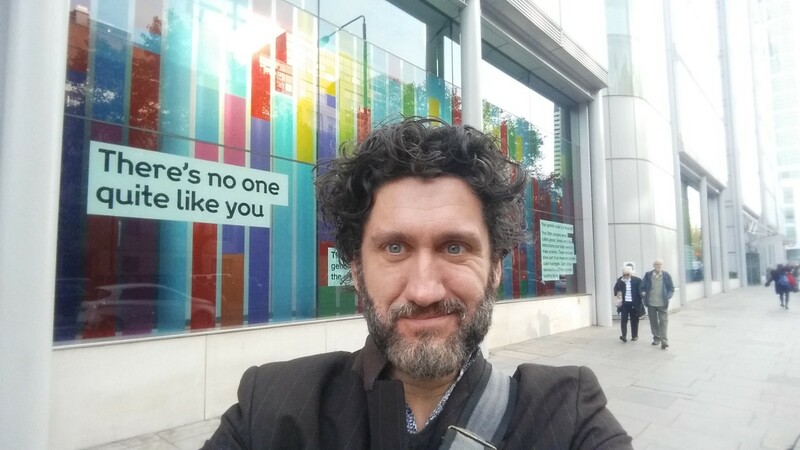 So while in London, I met with Robert Kiley and his team at Wellcome Open Research to talk about the project and fill them in a little on the wider blockchain-science scene. Also in London, I had a meeting at the Institute of Child Health with Professor David Skuse and Dr Will Mandy who develop diagnostic tests for autism. I caught up with Lorcan Kenny from autism research organisation Autistica to talk about increasing open science in autism research. I had an extremely productive meeting with Mark Hahnel, CEO of scientific data company FigShare. And I attended a meet-up organised by the Sovrin Foundation, discussing ways of giving people control of their own data. At Oxford University I caught up with Professor Dorothy Bishop — a leading researcher in neurodevelopmental disorders and a leading advocate of open science. I talked with Professor Gaia Scerif, who develops touchscreen-based tests of cognitive skills for individuals with rare genetic conditions. And I gave a presentation about blockchain to the ReproducibiliTea group who meet weekly to discuss open science over tea and cakes. I repeated the exercise (more blockchain, more cake) at Cambridge University where I was hosted by neuroscientist Dr Rebecca Lawson. Also in Cambridge I met with Jo Evershed, founder of the Gorilla platform which allows researchers to easily create online psychology experiments and assessments. I’m now in Berlin with a day to see some sights before the conference starts on Monday. There will be a live stream on YouTube. The main conference runs on Monday 5th and Tuesday 6th, followed by a two-day workshop on Wednesday 7th and Thursday 8th.